Back in April 2016, Nintendo announced mobile games based on Fire Emblem and Animal Crossing. Yet while the former got released quite quickly (and become a major success under the name Fire Emblem Heroes), Animal Crossing just kind of disappeared from the radar. First it was pushed to March 2017 to avoid overshadowing Super Mario Run. Then it was delayed again, pushing the game further back to the third quarter of the 2017 fiscal year. And then after all that, Nintendo delayed it even more, just stating the title would be out ‘sometime in 2017’ as a result. It’s like the game’s been stuck in release limbo, without nary a detail about the gameplay or mechanics have been released to quell people’s appetite. But it seems that’s now all about to change. Why? Because as the title suggests, Nintendo has announced an Animal Crossing Nintendo Direct about it for Wednesday this week. Due to be held at 7AM UK time, this Direct is a 15-minute affair revealing the game for the first time, as well as giving more info on how it works mechanically. So, if you’re an Animal Crossing fan who’s been waiting for this title for years, worry no more. Because by Wednesday this week, you will know how this new mobile game works, as well as how it compares to other such titles like Mario Run and Fire Emblem Heroes. Let’s just hope it lives up to the hype, shall we? 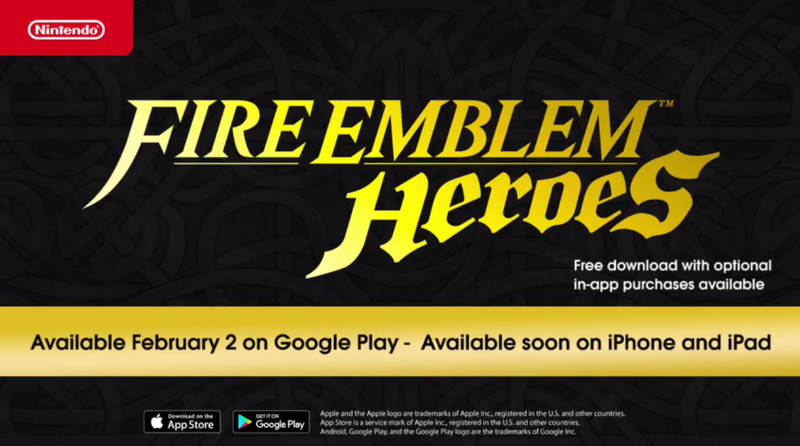 Fire Emblem Heroes Announced for Android Devices!